Welcome to the brand new Holiday Inn Express and Suites San Diego - Hotel Circle! 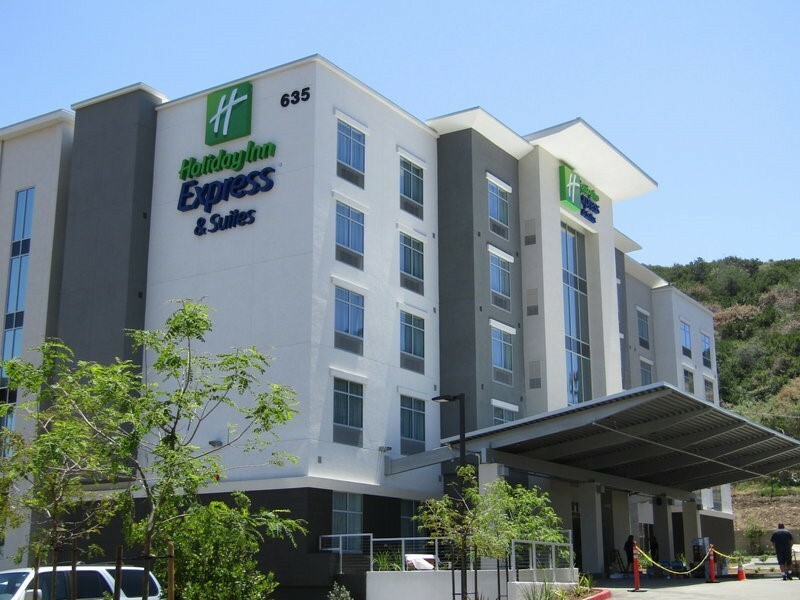 San Diego's newest and most modern Holiday Inn Express Hotel is centrally located in thriving Mission Valley. Just off Interstate 8 and Highway 163 and only minutes away from I-5, Downtown San Diego and the San Diego International Airport (SAN). Our non-smoking Holiday Inn Express San Diego - Hotel Circle hotel offers quick & easy access to attractions such as the world famous San Diego Zoo, SeaWorld, the San Diego Convention Center, Gaslamp District, historic Old Town, Fashion Valley Shopping Mall, the San Diego Trolley and so much more. Sports fans can celebrate that both Qualcomm Stadium (home to the Chargers) and Petco Park (home to the Padres) are just minutes away. The Riverwalk golf course also just minutes away other courses just 15 minutes away. Each guest can take advantage and enjoy a variety of hotel amenities, including Free Wireless High-Speed Internet, Complimentary Hot Breakfast Buffet, Business Center, Outdoor Pool, Heated Whirlpool, Fitness Room and 24-Hour Sundry Shop.